Behind the most successful people is often a highly motivated morning routine. According to researchers, self-control, willpower, and task performance all peak in the morning. That means people who can maximize this crucial time are off to a great start for the day. 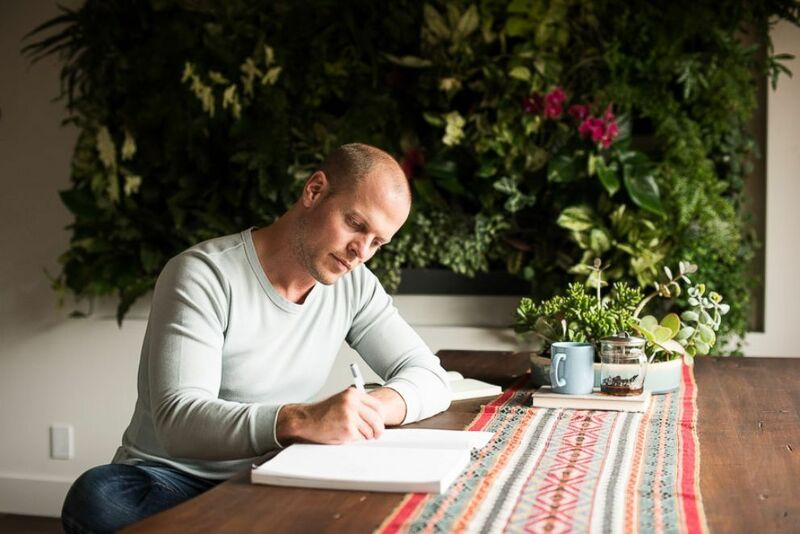 Some, such as Tim Ferris, the self-help paragon, incorporate the same habits every day, adjusting them as needed. Like his friend Jacho Willink, a retired Navy SEAL commander, Ferris believes that morning routines should be strictly followed, to avoid wasting time thinking. “In the morning and elsewhere, the more constraints I can create where I fly on autopilot and get a result I need or enjoy, the more horsepower, the more calories I have to allocate to being creative, and to doing things where thinking should actually be applied,” says Ferris. In this spirit, here are five essential morning habits collected from case studies and best practices in the sports and entertainment industries. Start your morning the night before. This will help you create a sense of purpose and anticipate potential problems in the day to come. With a plan in mind, your day will already be timely, organized, and more effective. Scott Cullather, CEO of VNT, a live events agency in New York, schedules a meeting with his key support team before the close of business in order to review the following day’s agenda. “We review and forecast what tomorrow is going to look like and how we’re going to get through that. It gives us an opportunity to re-prioritize. It also allows us to go to bed at night. Your mind does a lot of work while you’re sleeping. You get there the next day and are much more efficient and productive,” Cullather says. Ferris says that the majority of the people he’s interviewed practice some form of morning mindfulness. He meditates every morning for 20 minutes, followed by a two-minute decompression period, using one of the styles he’s learned: Transcendental Meditation (TM), Vipassana Meditation, or a guided meditation from the app Headspace. “So meditation, or mindfulness practice, it’s really about, to me, decreasing emotional reactivity so you can proactively create your day and create your life; versus, just being a walking reflex that sometimes screws up,” Ferris says. In this way, meditation or some type of mindfulness practice re-establishes focus for the entire day. A healthy breakfast fuels your day and prepares you to stay focused and energized. Twitter’s co-founder and CEO Jack Dorsey has two hard-boiled eggs with soy sauce every morning. Tim Ferris, strangely enough, enjoys a half-can of Amy’s black bean chili, a low-fat chili that’s high in fiber and protein that he says he orders “by the dozen.” For elite professional athletes, nutrition rituals exist as a very specific, and often superstitious, routine to begin the day. Professional tennis player Novak Djokovic follows a long, detailed order beginning with a large cup of room temperature water and ending with muesli or oatmeal, to provide his body with what he needs to perform at peak levels. Experiment to figure out what your body needs to be effective throughout the day. Working out, particularly in the morning, is essential to maintaining balance and keeping energy at a high level throughout the day. Ferris, for example, has recently revamped his morning workout schedule. “That exercise could be riding a Peloton bike and doing a 20-minute HIIT workout [high-intensity interval training], or it could be acroyoga, or it could be weight training or working on a Concept 2 rower,” he said. Many goal-oriented people often fall short when it comes to writing down their goals and tracking their progress. Setting specific, measurable, attainable, realistic, and timely goals—SMART goals—is the secret for successful people. All you need is 5 minutes every morning to think deeply about the progress you’ve already made and the strategies you need to employ to accomplish future goals. With the proper and consistent application of these five morning rituals, balance, positivity, and success are well within reach.